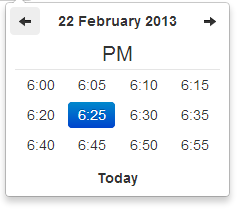 (*) Added views to select the time part. 所有需要"Date" 的选项都可以处理Date 对象; a String formatted according to the given format; or a timedelta relative to today, eg '-1d', '+6m +1y', etc, where valid units are 'd' (day), 'w' (week), 'm' (month), and 'y' (year). Days of the week that should be disabled. Values are 0 (Sunday) to 6 (Saturday). Multiple values should be comma-separated. Example: disable weekends: '0,6' or [0,6]. 4 or 'decade' for the 10-year overview. 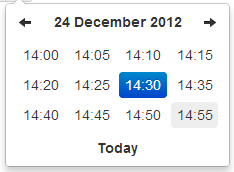 Useful for date-of-birth datetimepickers. The two-letter code of the language to use for month and day names. These will also be used as the input's value (and subsequently sent to the server in the case of form submissions). Currently ships with English ('en'), German ('de'), Brazilian ('br'), and Spanish ('es') translations, but others can be added (see I18N below). If an unknown language code is given, English will be used. The referer element to place the picker for the component implementation. If you want to place the picker just under the input field, just specify input. 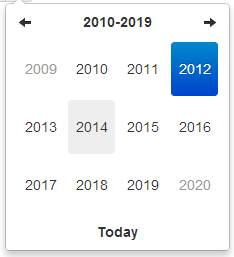 With this option you can select the view from which the date will be selected. 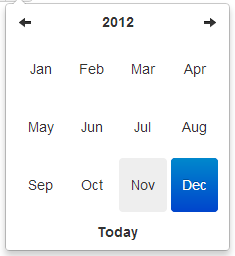 By default it's the last one, however you can choose the first one, so at each click the date will be updated. 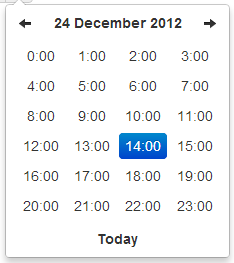 This option will enable meridian views for day and hour views. 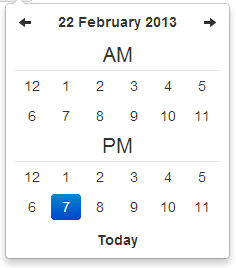 Sets the days of week that should be disabled. Omit daysOfWeekDisabled (or provide an otherwise falsey value) to unset the disabled days. 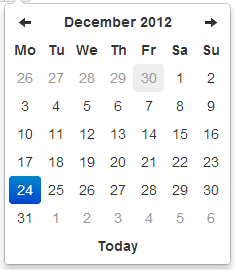 Right-to-left languages may also include rtl: true to make the calendar display appropriately. You can contact and follow me on Twitter @sebastienmalot.